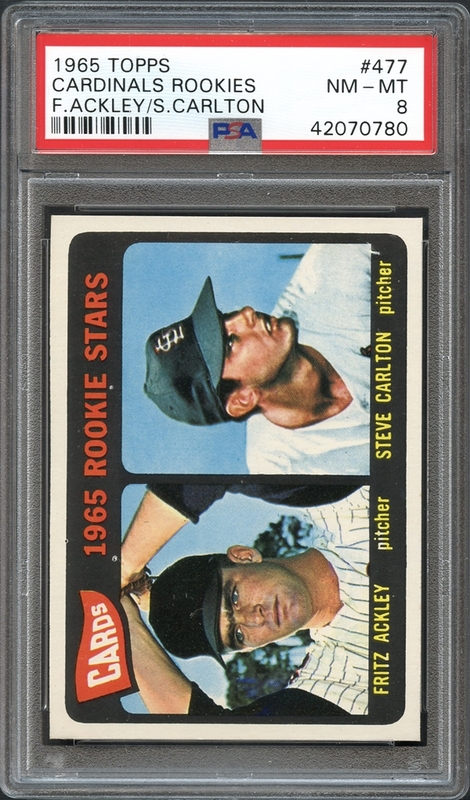 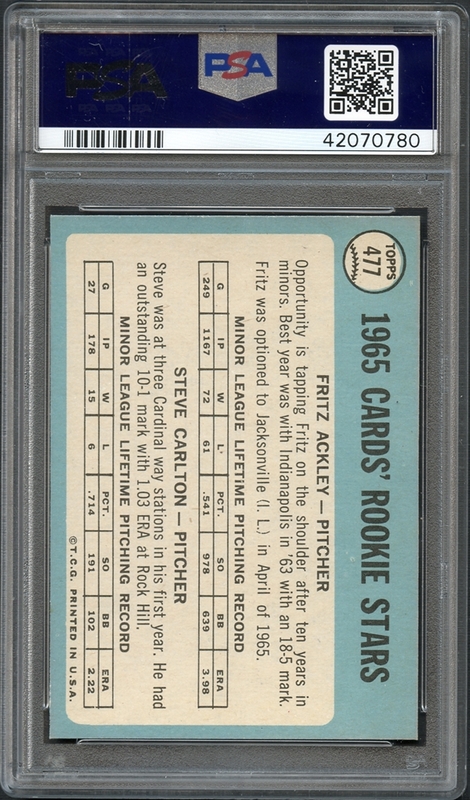 The offered example of Steve Carlton's 1965 Topps rookie issue boasts near perfect centering with strong NM/MT or better features in all facets. 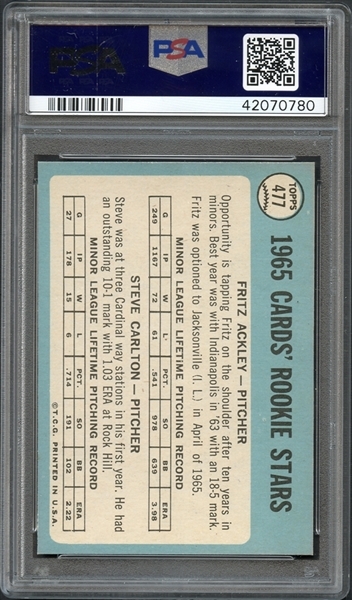 The depth of the color is particularly appealing with an equally pleasant blue and white reverse. A key rookie card from the 1960s in lofty NM/MT condition.